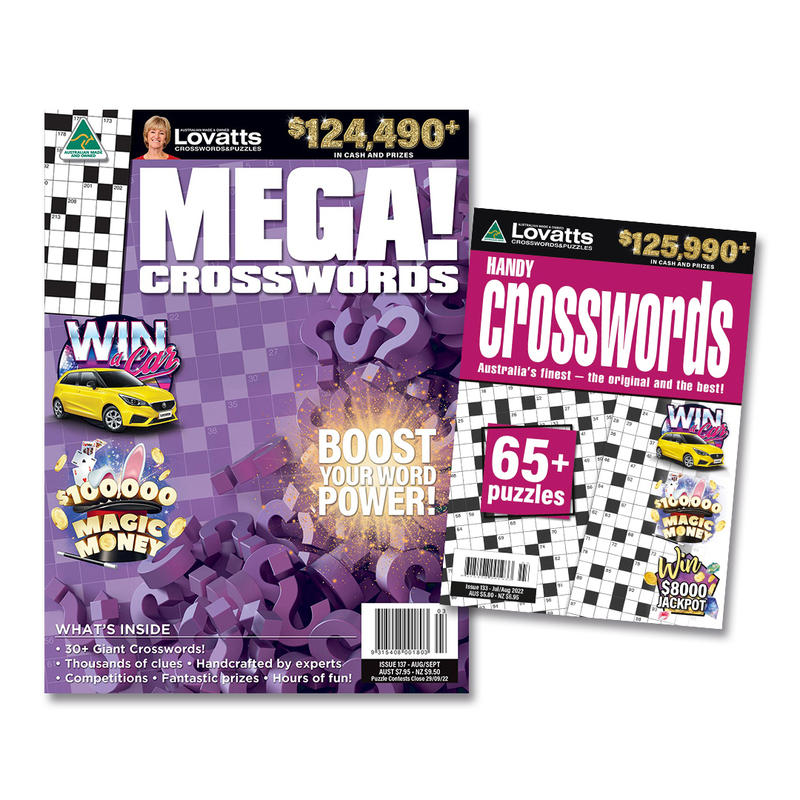 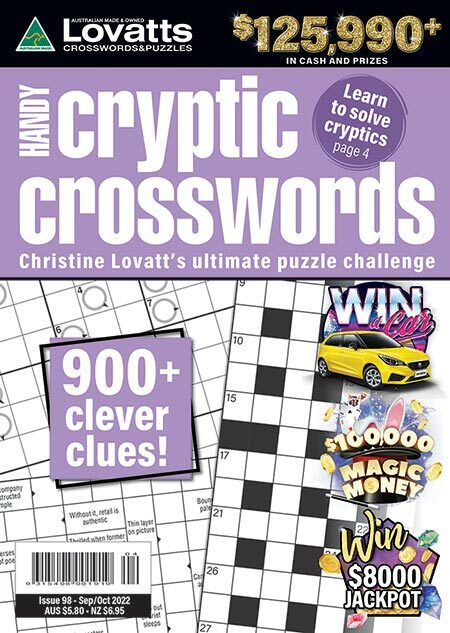 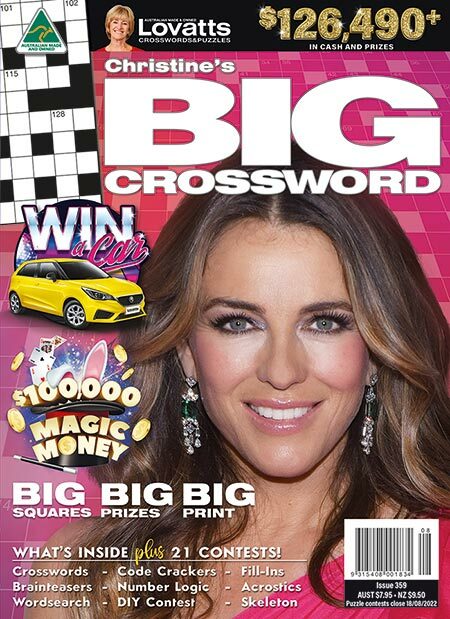 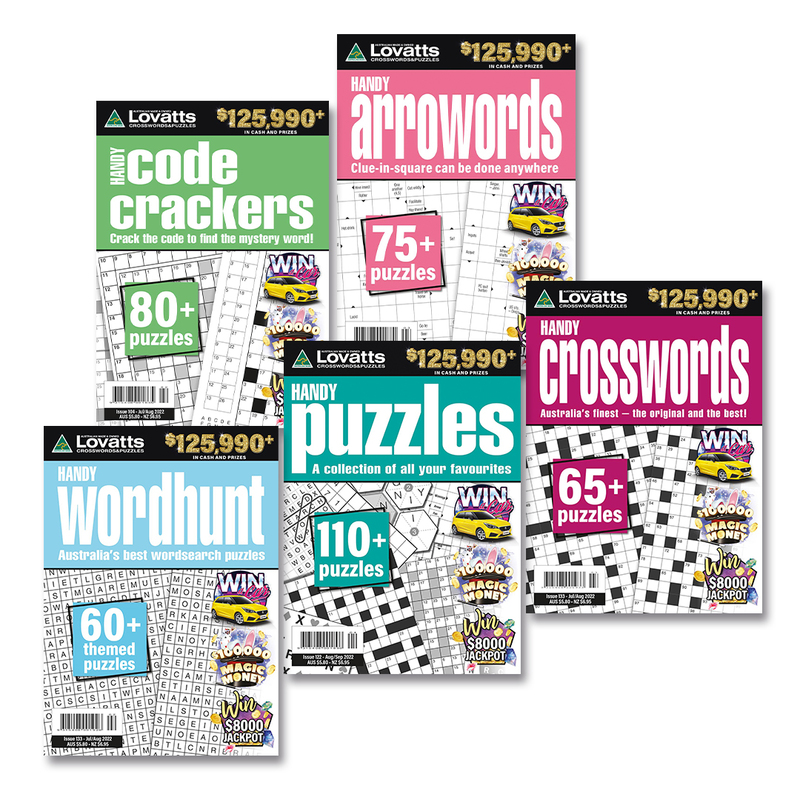 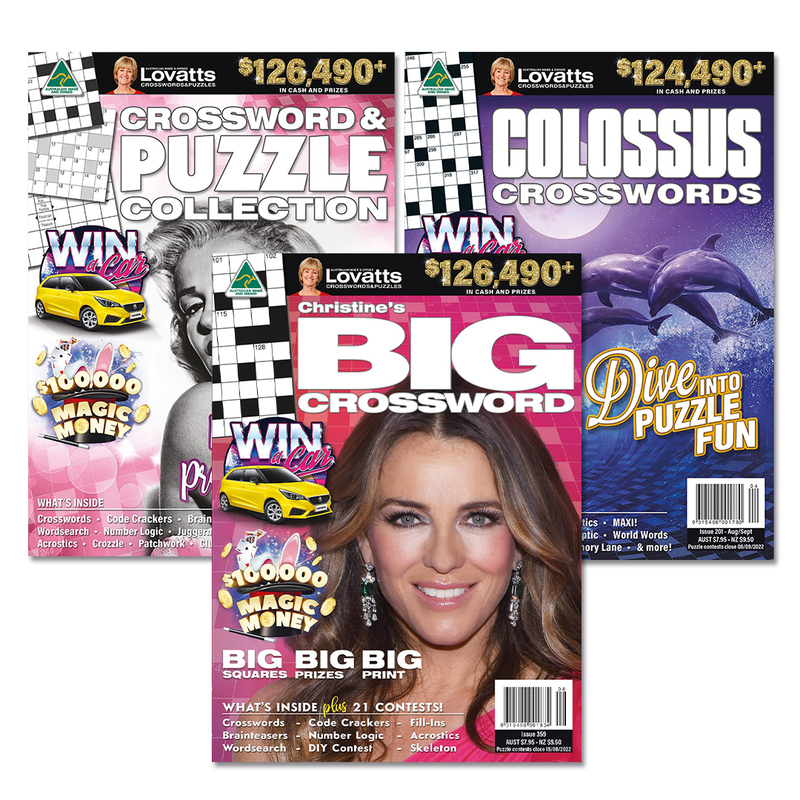 Lovatts Crossword & Puzzle magazines - Save online! 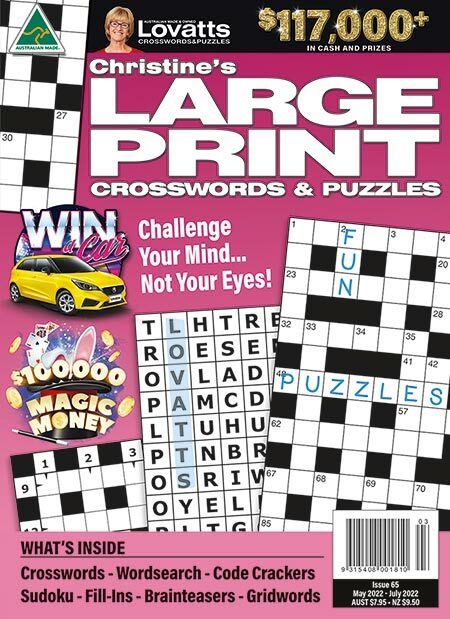 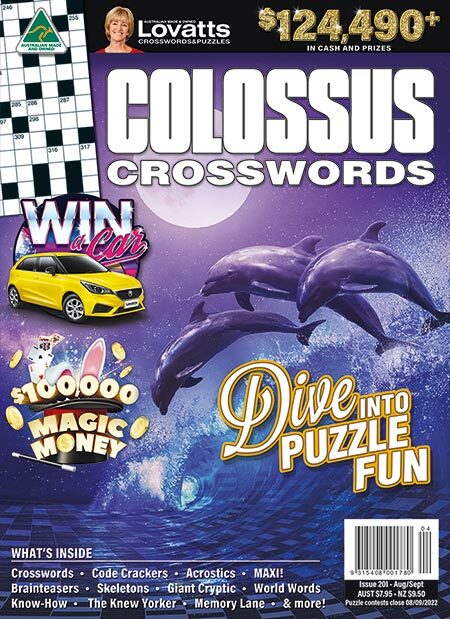 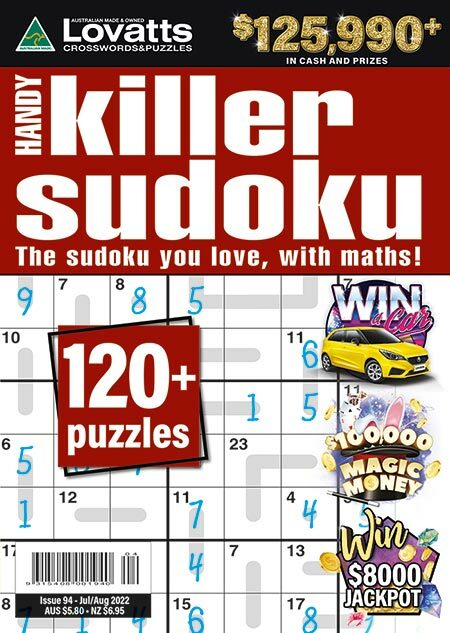 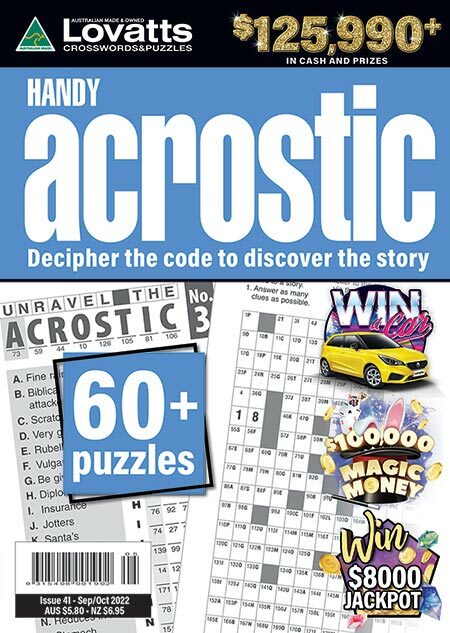 I invite you to become a subscriber and enjoy hours of quality crossword and puzzle entertainment, the convenience of free delivery, and entry into our regular subscriber sweepstake for a chance to win great prizes. 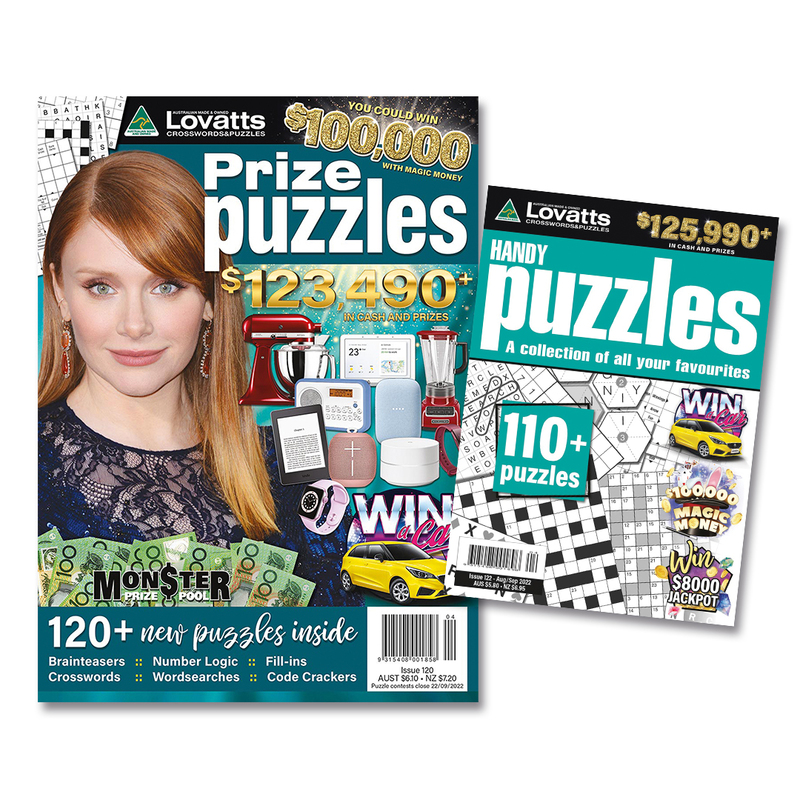 Join the Lovatts subscriber family today. 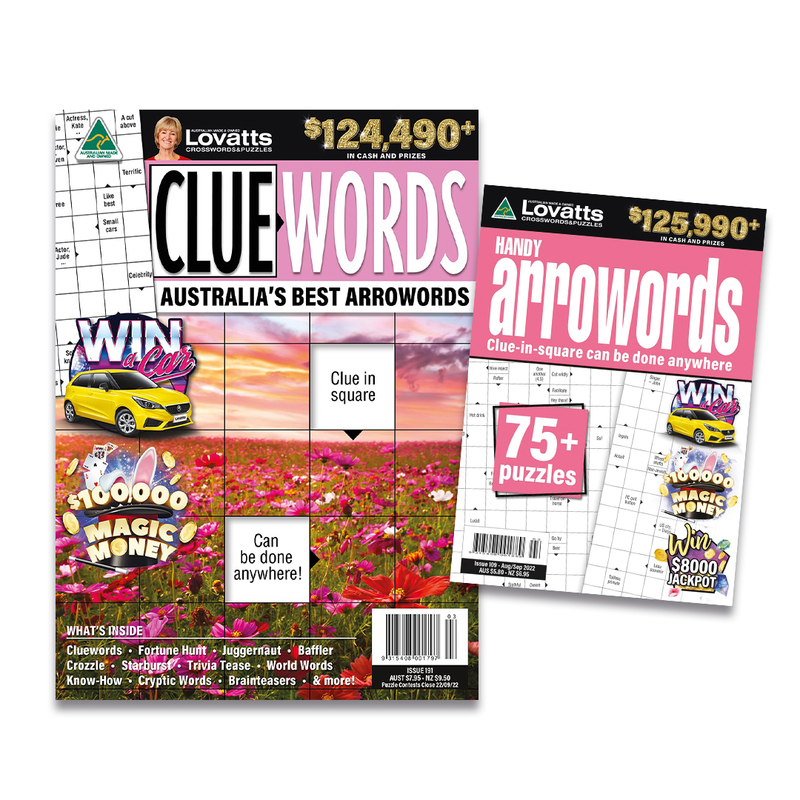 You are viewing Australian and New Zealand titles which are also available for international dispatch. 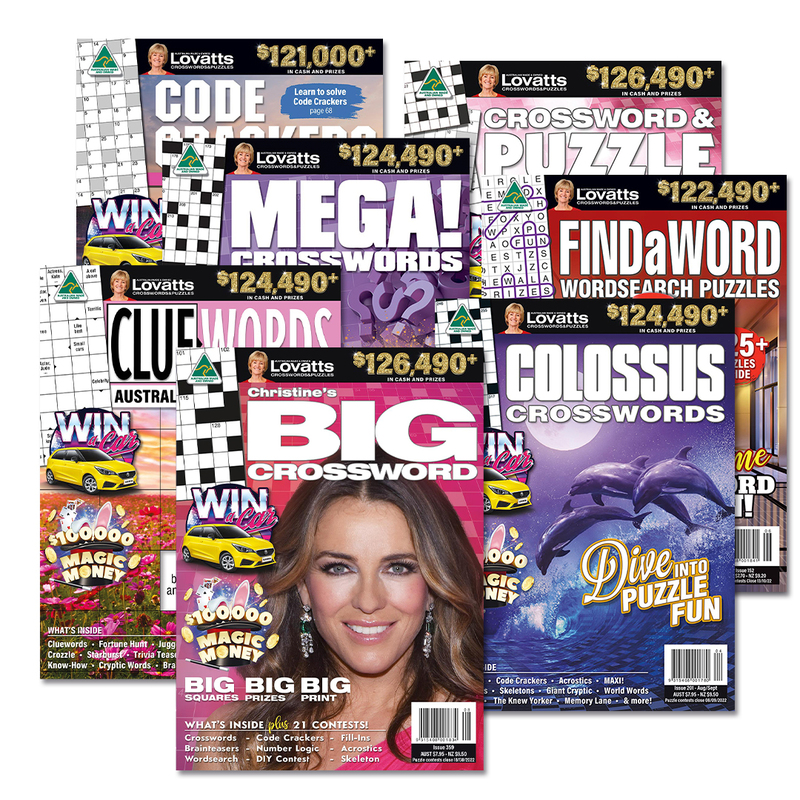 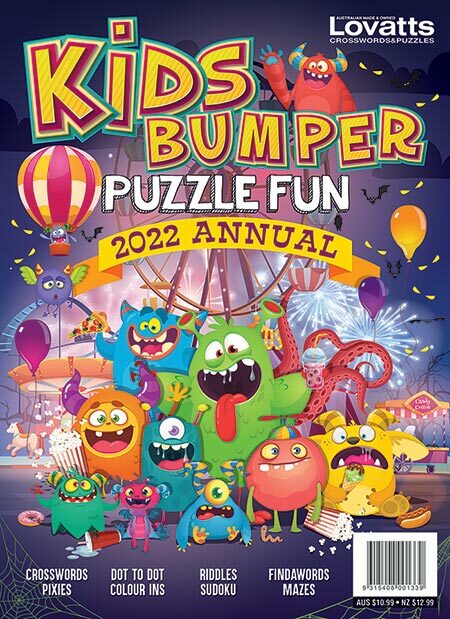 View Puzzle Packages & Bundles and Save! 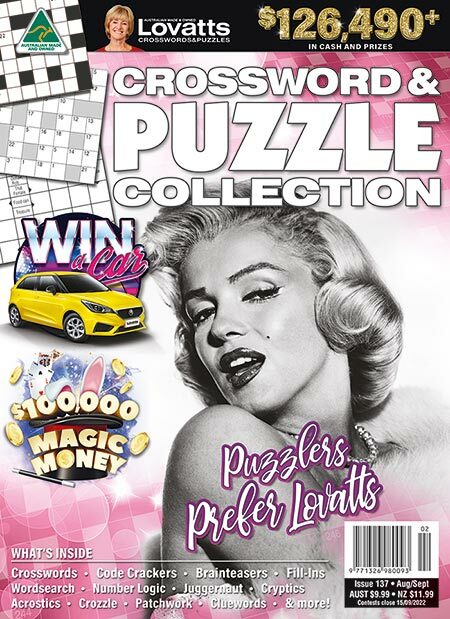 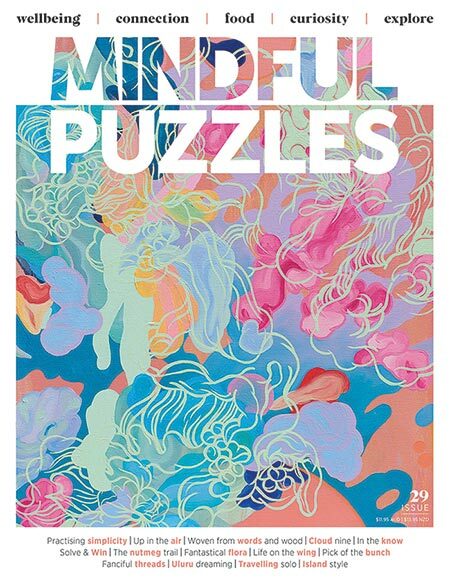 Brimming with thought-provoking content, inspiring stories and challenging puzzles, it’s a periodical for the sharp-minded modern woman. 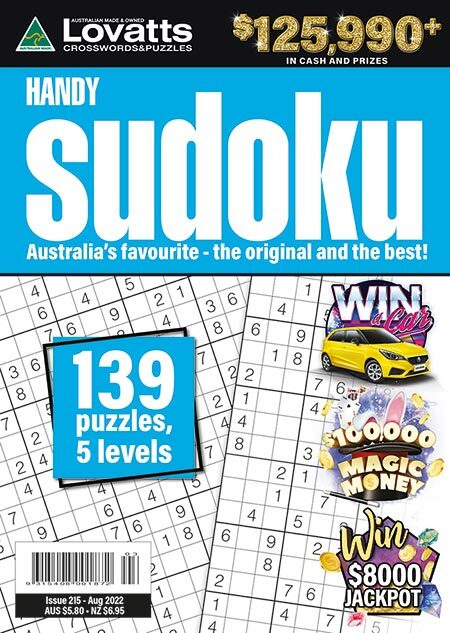 It’s time for you to discover that there’s nothing quite like Audrey. 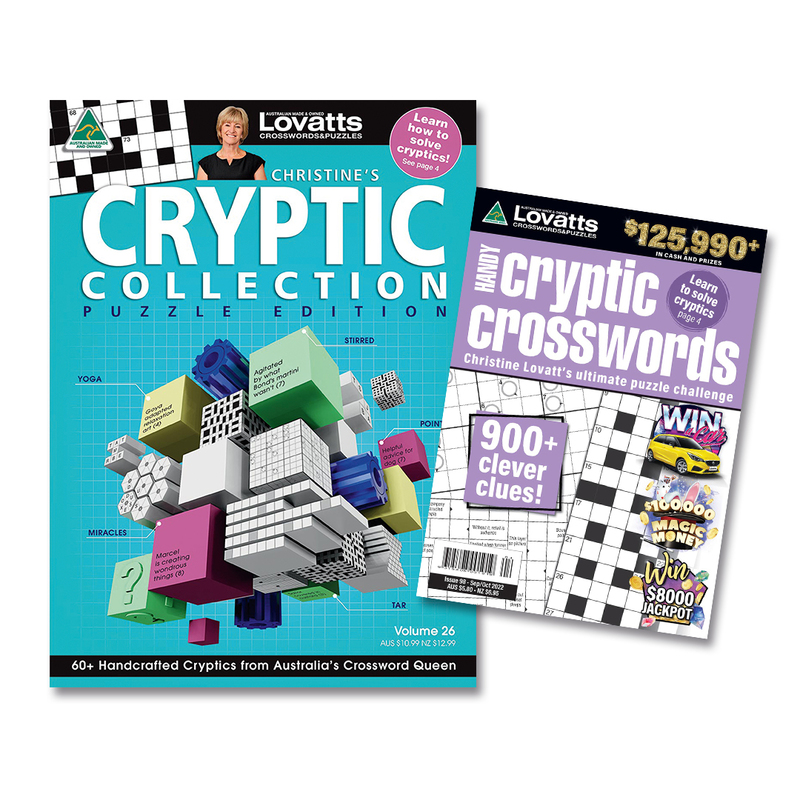 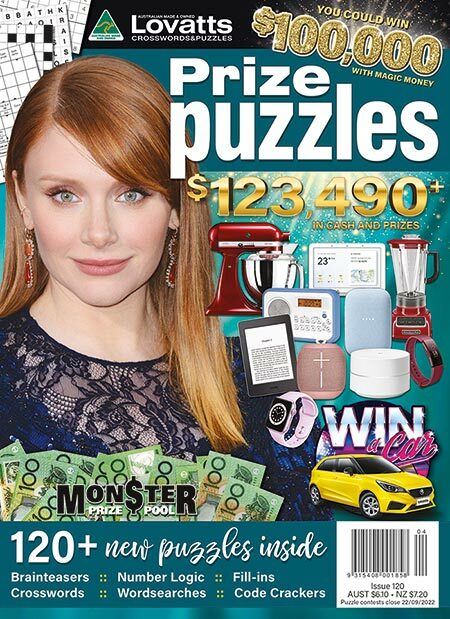 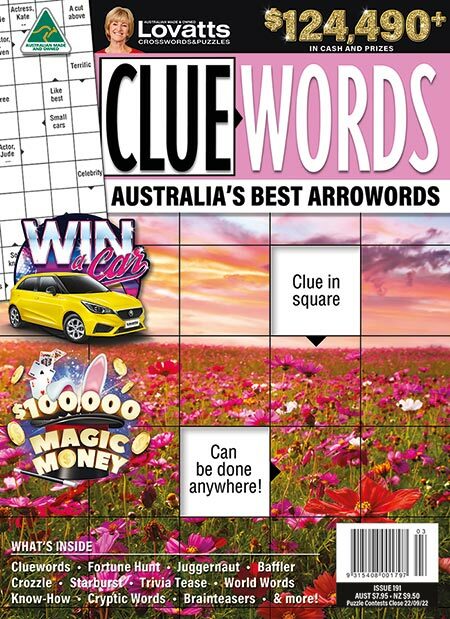 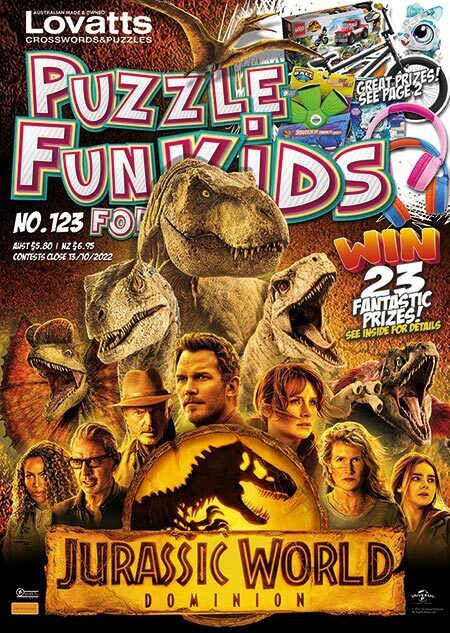 Introducing the latest addictive offering from Australia’s queen of puzzles – Christine Lovatt. 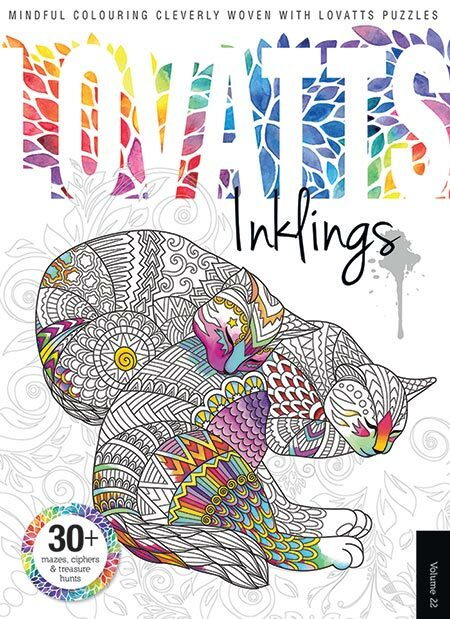 Inklings is colour-ins with a difference. 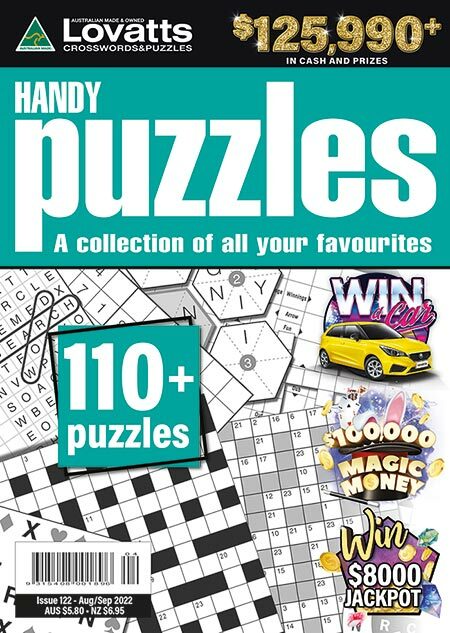 A perfect mix of our most popular quality puzzles in an on-the-go size. 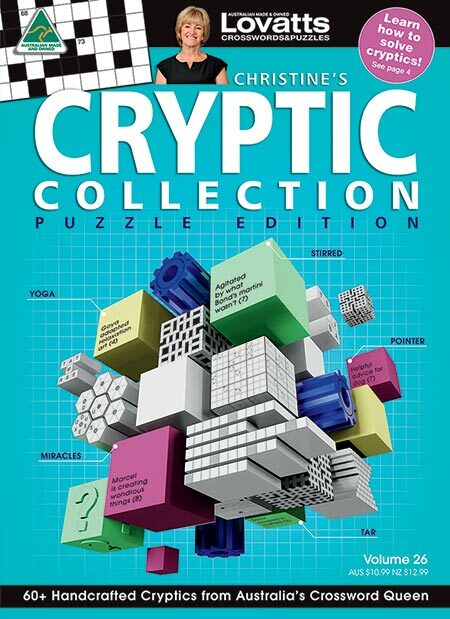 Combine Variety Prize Puzzles and Handy Puzzles and save! 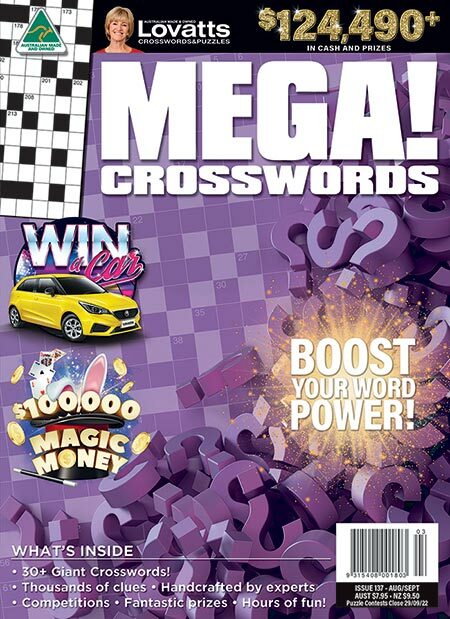 Combine MEGA! 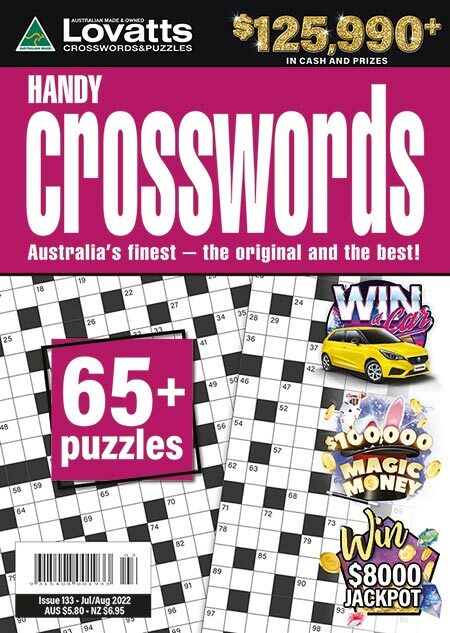 & Handy Crosswords and save! 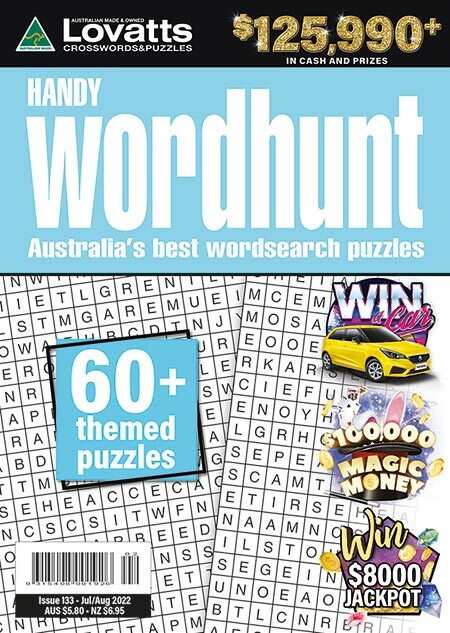 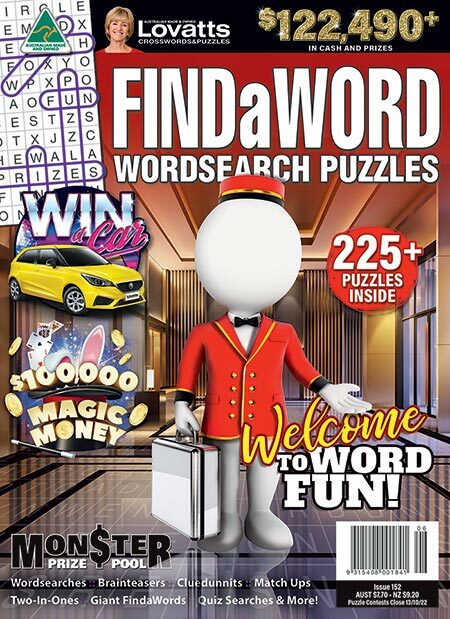 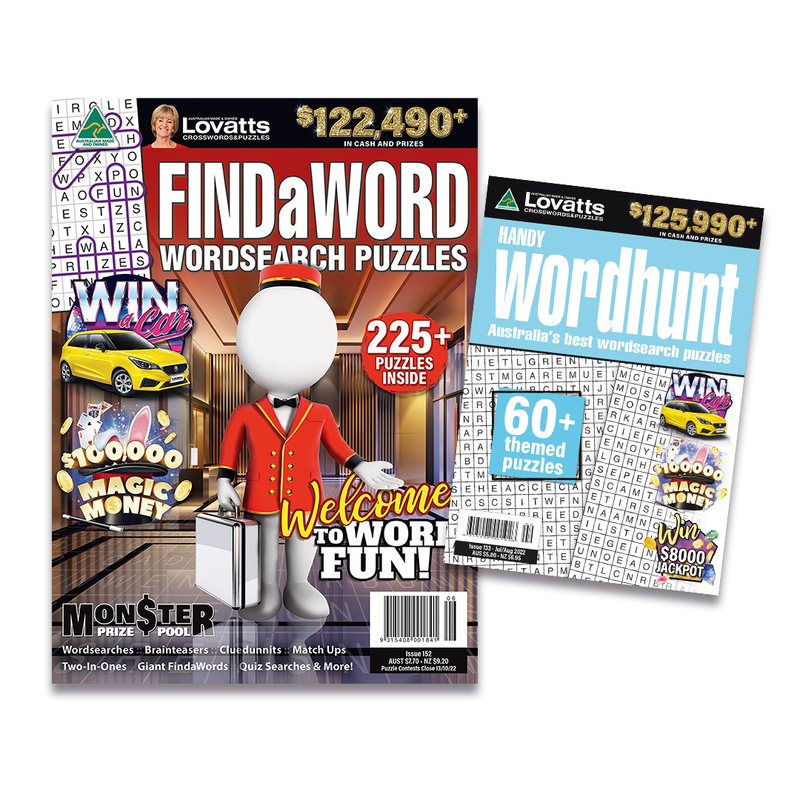 Combine Lovatts FindaWord & Handy Wordhunt and save! 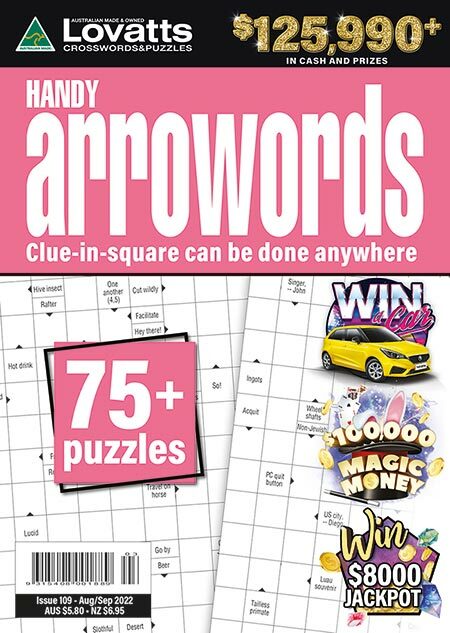 Combine Cluewords & Handy Arrowords and save! 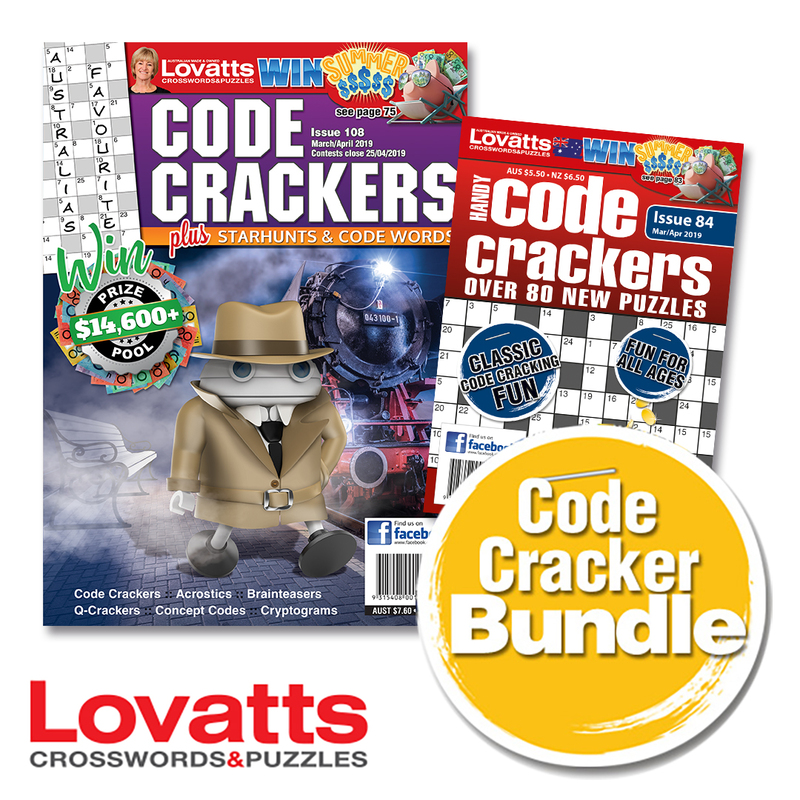 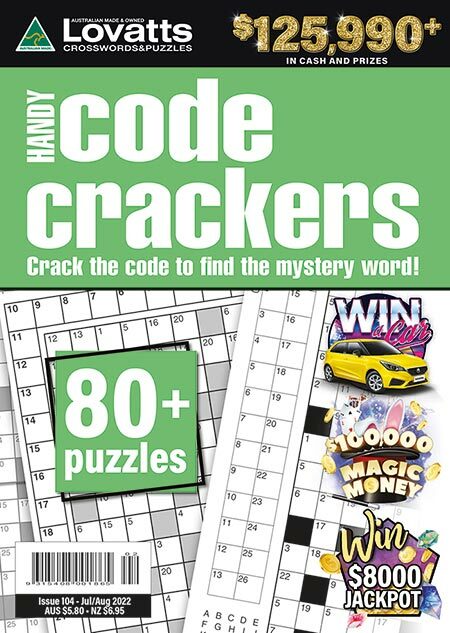 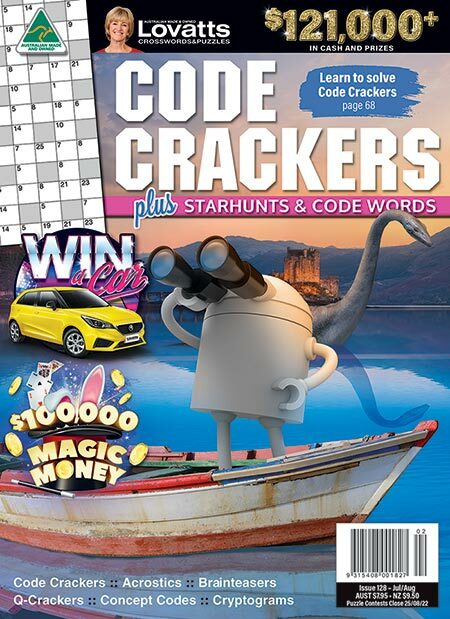 Combine Code Crackers & Handy Code Crackers and save!